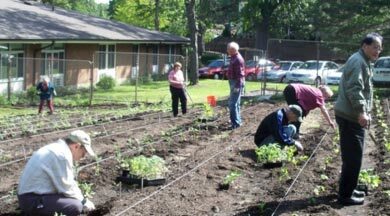 Council Gardens provides quality affordable housing and a full array of supportive and life enrichment services for low-to-moderate income senior adults. Founded in 1962 by the National Council of Jewish Women, Cleveland Section, Council Gardens is the vision of NCJW member Ruth Einstein, who was quoted in the Cleveland Plain Dealer on November 11, 1962: “The dreams and efforts of almost a decade are now being realized. 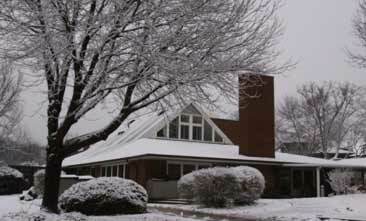 Our hope and prayer on this day is that Council Gardens will become a worthy model residence for our Senior Citizens.” With NCJW’s financial and volunteer help through the last 54 years, Ruth’s hopes and prayers were answered. Our new zen garden is located at the North end of the property. 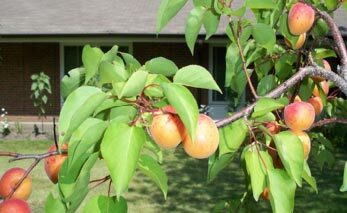 It provides a peaceful and welcoming space for tenants to enjoy the outdoors and view our beautiful fruit orchard while sitting under the latticework structure and listening to the calming murmur of a bubbling fountain. 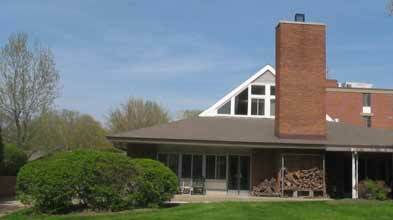 Council Gardens is situated on seven and a half acres in Cleveland Heights. Our 122 apartment units, located in one midrise and eight garden buildings, are connected by glass-enclosed breezeways alive with plants year round. Our buildings are surrounded by manicured lawns with benches and trees; by gardens - vegetable, flower, berry, fruit orchard and our new Zen Garden; and by play areas – a small playground for tots, exercise stations for adults, patios with grills and a dog park. Rentals are available for lower income households in which at least one member is 62 years old and for mobility impaired adults under 62. HUD subsidies are available to qualifying adults. One of the most unique aspects of Council Gardens is the connection between our tenants, members of our Board and the community. On any given day you can observe a volunteer from the Board, from NCJW or from our many supporters, teaching a class, leading a discussion or accompanying our tenants on one of our outings. These dedicated people ensure that every tenant’s needs are being addressed. While government subsidies provide Council Gardens’ core-operating support, private funds raised though our Friends Campaign and through foundation grants support: ​​holiday celebrations; English and computer literacy classes and tutoring; library groups; day trips and outings such as dance and theater performances, and Severance Hall and Blossom trips; outdoor fitness stations; Zen Garden; healthy breakfasts and brunches; health fairs and blood pressure checks; weekly fresh vegetable and fruit programs; cooking classes; a small convenience store; extensive gardening programs; and an emergency loan program. Life Enrichment Activities are designed to encourage Healthy Lifestyle Choices.